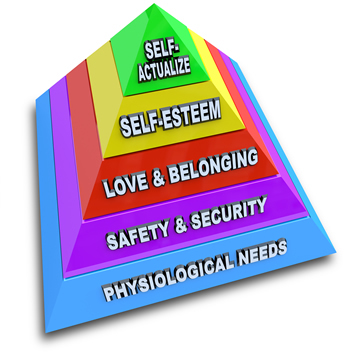 Self-esteem can have a profound influence on a person’s thinking, emotions, and responses to stressful life events. The person with low self-esteem may see life as not worth living, and see everyday stressors as completely overwhelming. There appears to be a strong link between low self-esteem and depression. In recent years the importance of fostering and promoting self-esteem in children has become a vital aspect of parenting. This becomes a greater challenge for the parent if self-esteem were lacking in their family of origin. The showing of affection or indeed support was not in abundant supply in many Irish homes and sadly this remains the case. Terms like ‘why can’t you be like your brother (or sister, or a neighbours child)?’ and / or ‘where did we get you?’ do not instil confidence in those on the receiving end. Here are some indictors of Low-Self Esteem. Lives life according to rules of, ‘should’, ‘should not,’ ‘have to’, and ‘ought to’. Self-worth is best understood in two aspects of self. When you walk into a room full of people do you automatically feel worthy of value? Or do you slip into the room, hoping no one has noticed you? If the latter is you, then you need to look at finding and creating a sense of self-worth in order to have a higher sense of self-esteem. The Therapy: The presenting issue will be dealt with in a relaxed initial consultation which will allow for all aspects of the therapeutic process to be discussed and all questions answered openly, fully and confidentially. Lo-Call in Ireland: 1890-273-273 or email therapy@descanning.com to book an assessment consultation. ©2018 Des Canning. All Right Reserved.